Marking the 2016 Easter Rising commemorations, Sir John Lavery’s monumental painting, High Treason: The Appeal of Roger Casement, The Court of Criminal Appeal, 17 and 18 July 1916 moves from Kings Inns where it has been on loan from the UK Government Art Collection since 1951 to be the centrepiece of this historic exhibition in 2016. This painting depicts the last day of Roger Casement’s appeal against the sentence of death for treason before five judges of the Court of Criminal Appeal in London. Roger Casement, the highly regarded humanitarian, knighted for his steadfast and unwavering dedication to highlighting the atrocities in the Putumayo region of South America, and prior to that in the Congo in Africa, is shown in the very place where he would deliver his celebrated Speech from the Dock, a speech which is now regarded as one of the greatest orations of all time. Portraits of a number of the legal personalities involved in the Trial and Appeal including judges Lord Chief Justice Sir Rufus Isaacs who presided over the Trial and Sir Charles John Darling who presided over the Appeal as well as the prosecuting council Attorney General Sir Frederick Smith later Lord Birkenhead will be borrowed from the National Portrait Gallery, London. Among other works drawn from the Hugh Lane’s own collection is Lavery’s portrait of George Gavan Duffy, who with Sergeant Sullivan represented Roger Casement, and Rodin’s bust of George Bernard Shaw. Shaw supported Casement and advised him ‘to be eloquent about his right to take up arms for the independence of his country.’ The portrait by William Rothenstein of Casement’s great friend Alice Stopford Green will also be exhibited. With Casement, Stopford Green was an anti-Imperialist activist who advocated reform at home and abroad in favour of the dispossessed and the exploited. A detailed preparatory study of the Appeal which Lavery presented to this Gallery in 1935 will also be included. 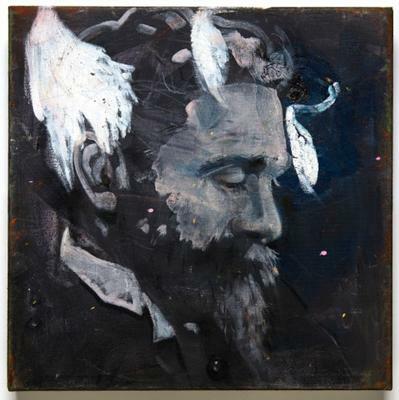 An illustrated catalogue High Treason: Roger Casement will accompany the exhibition with contributions by Mr Justice Donal O’Donnell, Sinéad McCoole, Angus Mitchell, Chris Clarke, Charles Esche, Tacita Dean and Elizabeth Magill.